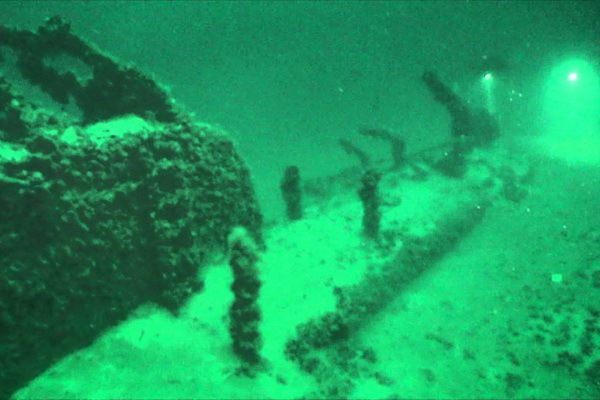 In the territorial waters of Estonia this year, the remains of nearly two dozen ships and aircraft were found. As Interfax was told in the waterways department on Tuesday, during the navigation period this year, the department’s vessels checked the water area of ​​1,660 square meters. km near the coast of Estonia and found the remains of 18 ships and aircraft. All in all, the remains of 531 sunken objects are now on the navigation maps. “We checked the information received in the summer about the Soviet submarine S-12. The submarine broke into two parts and is located approximately 14 kilometers north of Naissaar Island, ”said the head of the hydrographic department Peeter Valing. Of the 18 objects discovered this year, the remains of the aircraft, presumably the German U-144 submarine, which sank in 1941 the Finnish four-masted sailing ship Gullkrona, are listed as Walling’s latest finds. According to him, since about a third of Estonia’s marine waters have not yet been fully investigated, there may be much more finds. This year, sea areas to the west of the islands of Hiiumaa and Saaremaa, the waters of the Gulf of Finland near Tallinn, the Gulf of Riga and Moonsund were explored. Poisonous Fish Appears on the Seashore and Bathers are Terrified to See It.